Buy or Rent Atomic Rulers (1965) Movie DVD & BluRay Online! 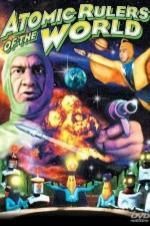 Movie Plot: Super criminals are planning to infiltrate Earth with mass nuclear destruction! Only Starman can defend civilization by thwarting evil!